Comic Reviews: Captain America and Gravedigger’s Union! This week Captain America begins his Marvel Legacy tour of redemption, and the Monster Hunters get unionized in The Gravedigger’s Union! Cap has a had a rough few years. His reputation has been tarnished in both the Marvel Universe and with comic book fans, so Marvel’s Legacy relaunch event serves as a great way to rehabilitate the character after Secret Empire. Fewer creators have a better pedigree together than Mark Waid and Chris Samnee, and hopes are high that the two can work the same magic on the Sentinel of Liberty as they did with previous series Daredevil and Black Widow. After reading Captain America #695, it’s clear that Samnee and Waid are doing the same witchcraft that made those previous series so compelling. Serving as an excellent jumping on point, this issue finds Steve Rogers traveling to a small Nebraska town to take in their “Captain America Day” celebration. An annual tradition ever since Captain America saved the town from some radical terrorists named Rampart, Cap has heard rumblings that Rampart is planning to attack the town once again as a show of their newfound power. Of course Captain America stops them, but not before showing the people of the town how fellow citizens stepped up to help others. While Mark Waid’s script gets a little cheesy at times, it’s also a necessary thing for this period in the character’s life. Everyone, from the townspeople at large to comic fans, need to be reminded of the power of Captain America. 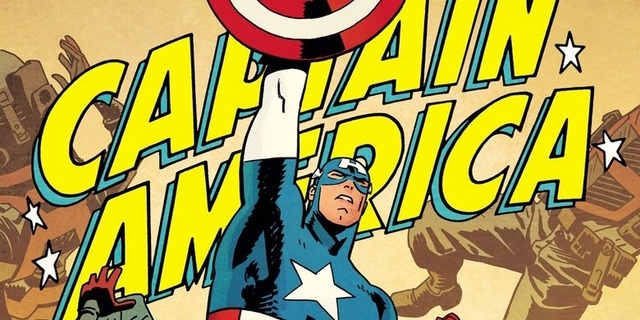 Waid gets right to the core of what makes Captain America so inspiring, and while it’s a bit of a stretch that none of the townspeople recognize Steve Rogers until he’s in his costume, Waid’s characterization and dialogue for Cap more than makes up for it. When it comes to the art, Captain America #695 is another perfect example of how well Chris Samnee works with Mark Waid. The two are the peanut butter and chocolate of comics, and Samnee brings a huge amount of life to the pages in this issue. 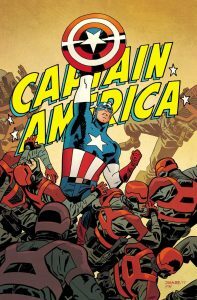 From the moments with Captain America interacting with the townspeople to the stunning action sequences, this issue is another example of why Chris Samnee is such a rare talent in comics. If you’ve been waiting for the return of the “real Captain America”, then Captain America #695 is the book you’ve been waiting for. A wonderful mix of heart, humor, and action, it’s one of the best debut issues for the Marvel Legacy relaunch, and should make fans of the Sentinel of Liberty very, very happy. 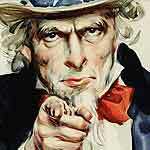 What if the Ghostbusters were a major labor union with ties going back centuries? That’s the main hook for The Gravedigger’s Union, the new Image title from Deadly Class artist Wes Craig and artist Toby Cypress. 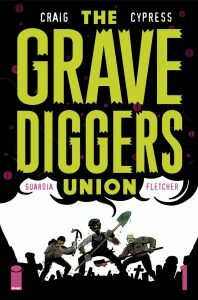 A unique mix of Ghostbusters, X-Files, and little bit of Men In Black, Gravedigger’s Union is a really cool new series with a strong hook that continues to show why Image is one of the best publishers in comics. The Gravedigger’s Union is the go to organization to deal with ghosts, vampires, werewolves, zombies, and other creatures of the night. While the Gravedigger’s Union has always been active since their inception, recently they’ve been dealing with paranormal activity on an almost daily basis. Ghost Storms, Zombie attacks, Vampires clans attacking innocent people, it’s all hitting at once and overwhelming the members of the union. But when one of them wants to go to a witch to get answers, he has to go through his superiors to get permission, which is easier said than done. This aspect of Gravedigger’s Union is what makes it stand out. Wes Craig does a great job of showing how the Union can really restrict the members when they need to accomplish something, and it puts a fun spin on the typical “monster hunter series” that you see every now and again. Instead of just going rogue and visiting with witches and fighting monsters, the members of the union have to get their missions and visits sanctioned, which leads to some very interesting conflicts among the members of the group, which of course will be the driving force of the series. Craig’s script also gets into the Union Member’s heads in a way that makes you feel their world weariness. Sure, fighting monsters is different from being a plumber, but for these guys it’s still a profession, and after a awhile it can get boring fighting the same types of monsters day in and day out. Toby Cypress’ art is a great fit for this series, with a loose cartoony style that helps offset the monsters that the union has to fight. Wes Craig handles the art duties for the first opening pages, but his art style actually works pretty well with Cypress’ so it’s not as drastic a change as you would think. Cypress also has really interesting monster designs too, and clearly has fun creating bold new designs for these well-known creatures. There’s not a ton of action in this opening issue for Cypress to draw, but the moments that are here are done really well. If you’re a fan of Ghostbusters and want to see more paranormal action like that, then Gravedigger’s Union is absolutely a comic you should pick up. An interesting mix of paranormal monster hunting and dealing with middle management, Gravedigger’s Union is one of the most unique comics of the year, and one that deserves your time and money. 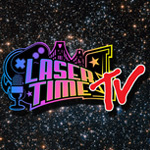 Bubsy: The Woolies Strike Back – Watch Us Play!